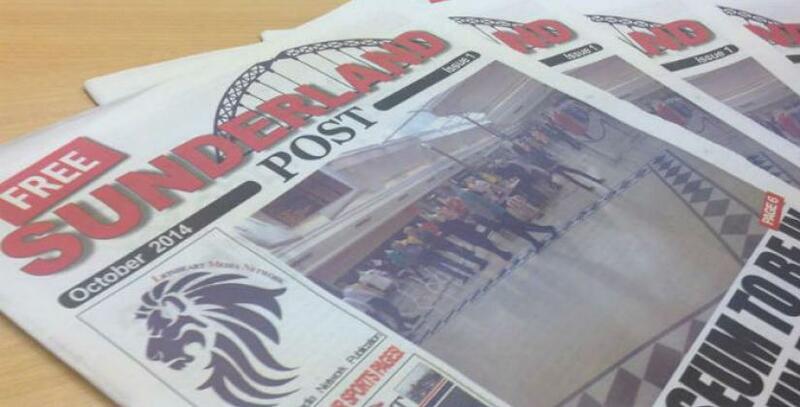 The Sunderland Post is a new monthly publication made solely for the people of Sunderland. We're delighted to welcome the start-up to our business centre. A brand new free newspaper has been launched from our North Sands Business Centre in Sunderland. The Sunderland Post is a monthly publication made solely for the people of the city and we are delighted to welcome the new start-up business to our centre. Residents will be able to find out what’s happening locally, with the paper covering everything from good news stories to the hot topics that are causing concern. With sections dedicated to sport, politics, entertainment and business in Sunderland, people will be able to find out about the issues that are relevant to them. The paper also hosts a ‘Your News’ section which focuses on specific localities in the city. Steven Stobbs, Media Sales Executive at the Sunderland Post explains why the newspaper chose Bizspace as its home. “Our office at the North Sands Business Centre is in a superb location, as it was so important for us to be close to the heart of the city. There are great public transport links, which means the town centre is just 10 minutes away. We looked at numerous office spaces but they were either too far away from the centre, or if they were in the city, they were too expensive. Bizspace’s Bridge House was also an excellent location, but the fantastic reception area at North Sands Business Centre swung it for us! Bizspace’s Cluster Manager for the Sunderland area, Lynne Oliver helped the Sunderland Post team find an office to meet their needs. It was the people of Sunderland that provided the inspiration to launch the paper itself. Managing Director, Martin Dunn, is a journalist who has worked on many newspapers in his time. He says feedback from readers suggested that there was a gap in the market for a publication that was dedicated to the people of Sunderland and contained interesting, relevant news solely for the local area. Martin’s vision was to produce a newspaper that is created in Sunderland, for Sunderland. Although there are other publications covering news in the city, the team want to give people a choice of papers to read and to allow them to share their news. If you would like to advertise in the newspaper you can contact the sales team on 0191 514 2823 or if you are a Sunderland resident with something to say, contact Editor, Natalie Riley at [email protected]. The first edition was launched on 17th October with 10,000 copies circulated throughout the city. Copies were snapped up so quickly that the team had to provide further stocks to supermarkets. Due to the success of the inaugural issue, the circulation will be increased to 15,000 copies for its November edition. You can pick up a free copy of the Sunderland Post from the city’s largest Asda, Sainsbury’s, Tesco and Morrison’s stores, as well as McDonald’s outlets, Arriva buses, Station Taxis, newsagents, doctors’ waiting rooms and coffee shops. With an excellent location close to Sunderland city centre and the sea, North Sands Business Centre offers a wide range of business space. Business facilities include free parking, meeting rooms, a new on-site café and full administration support from the Bizspace team. To find out more contact Lynne Oliver on 0191 597 4655.